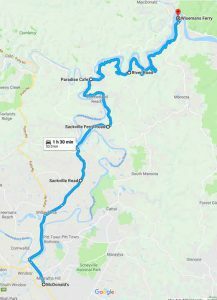 For experienced riders, this is a nice fun ride full of winding roads that you can ride through along the Hawkesbury River. 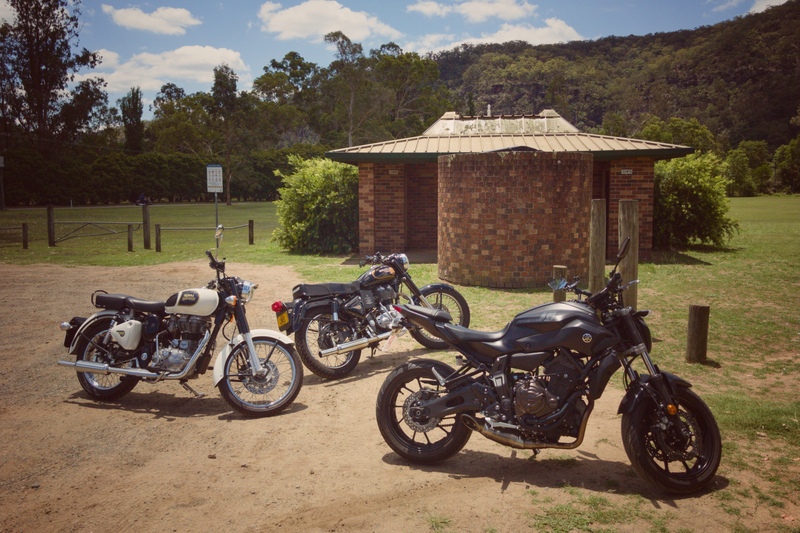 You can start from the Macdonald’s in Windsor which is a good meeting spot with your friends or other riders and head your way through these winding roads up to Wisemans Ferry. Start your journey from the Macca’s on Windsor Road and head towards Wilberforce Road which takes you towards Putty Road which is another great ride but I will cover that in another post. On Wilberforce Road, you will see plenty of open space along the road where there are turf farms and vegetable farms. However, we turn off to King Road just before Putty Road starts heading towards Sackville Ferry Crossing. The ferry ride is about 5 minutes long so within 10-15 minutes you should get across the river on the ferry and be on your way riding again. Just about 4.5 kms after you get off the ferry, you turn off left towards River Road, and this is where the fun really goes up another level. River Road will take you all the way up to Wisemans Ferry but the nice winding road is a lot of fun as you take left and right-hand corners. If you want to have a break you can stop at the Paradise Cafe which servers Pizzas, Salads, Snack and Hot/Cold Beverages. Otherwise, you can soldier on riding your way through River Road towards Wisemans Ferry. When you arrive at Wisemans Ferry you can get a bite to eat or a nice cool/hot drink at the Wisemans Inn. You should bring Cash as they don’t accept EFTPOS but there is a ATM machine available within the premise. Have a meal, snack or a drink at the Paradise Cafe as you head along the River Road. There is also the Wisemans Inn where you can quench your thirst and have some food before heading back. River Road is a sealed road but gets quite narrow as you approach some of the corners so you should take care not to over-commit yourself as you approach the corners. As you head north on this road parts of the road will have rock face cliffs on the left-hand side and sometimes on the right-hand side, so you want to be extra careful there. 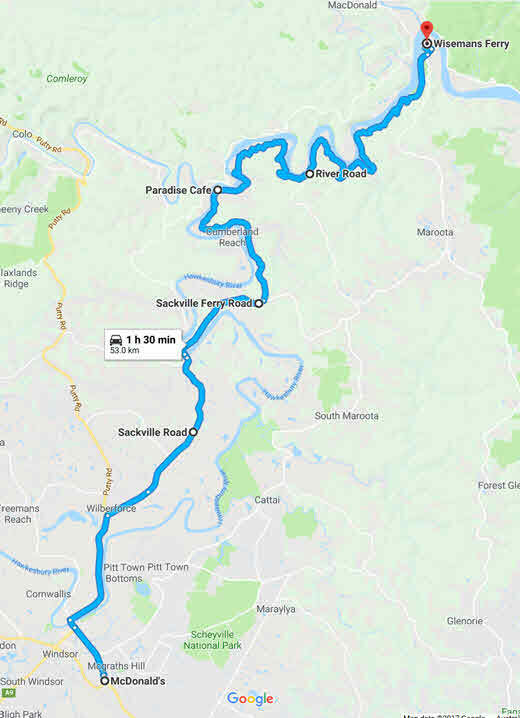 The ride on this route is quite interesting as you go through some remote and then residential areas. Although not a high speed route but still is good to just enjoy the views it offers along the way.